Feeling More Frumpy Mummy Than Yummy Mummy? It’s easy to get into a rut with your appearance and end up being more of a frumpy mummy than a yummy mummy. The truth is that when you’ve got little ones to take care of, you have a tendency to put your appearance on the back burner, to concentrate on your little ones. While there’s nothing wrong with dressing in clothing that’s comfortable and easy to pull on, like sweatpants and jumpers, for instance, you can end up feeling frumpy and lacking self-esteem because of it. The key to feeling more like a yummy mummy is to put time and thought into what you wear, as well as into your hair and makeup. There’s nothing wrong with going bare-faced every so often, but if you want to feel good about yourself, you need to make time to style your hair and apply your makeup each day – you’ll feel better for it. The first step to feeling more confident in your appearance and less frumpy is to treat yourself to new clothes. If the clothes that you usually wear are a little on the frumpy side, now is the time to update your wardrobe. Start off by having a look online to get an idea of what’s in fashion, and then do some shopping. You can either shop online or head to your local shopping centre and shop there, depending on your personal preference, of course. If you are going to shop online, make sure to take advantage of deals and discount sites, such as www.plusvouchercode.co.uk. When you’re a parent, every penny counts. As for what to buy, leggings can work well as they’re comfortable and when teamed with a dress, stylish jumper or tunic, can look stylish. Or, how about buying a nice pair of jeans, to team with tops and jumpers? Skirts and tops can also look lovely, teamed with a pair of thick woolen tights. To prevent having to scrape your hair into a bun or ponytail each morning, have your hair cut into a new, easy-to-style do. That way you can ensure that doing your hair in the mornings doesn’t have to be time-consuming or stressful. Opting for an easy-to-do style means that you can wake up, brush it, and be ready to go, and feel good about how your hair looks. To get your everyday makeup look right, minimal makeup is a must. You don’t want to look overdone up. You want to wear enough makeup so that you feel good about yourself. Spend a couple of evenings practicing applying your makeup quickly so that in the mornings you can get your face on before the kids wake up. 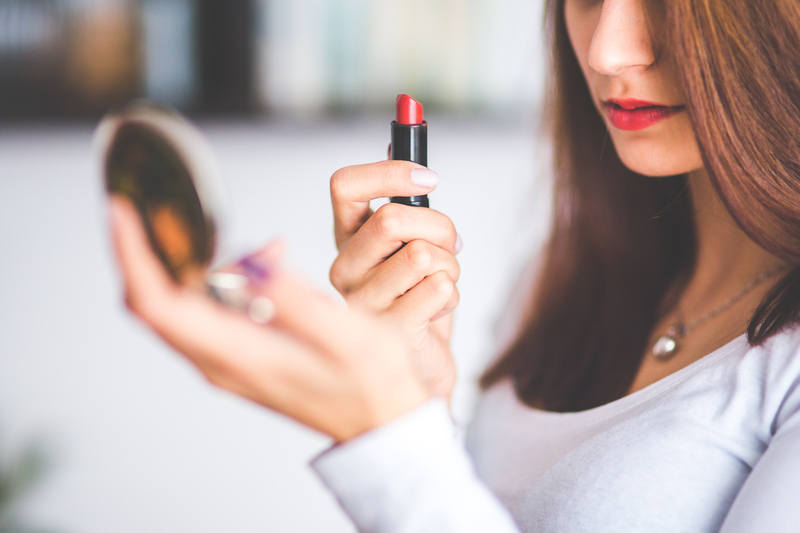 It might only be a little bit of makeup, but it will give your self-esteem that boost it needs. So there you have it, everything that you need to know to look and feel better. Take note of the tips above, and you can wave goodbye to being a frumpy mummy. This entry was posted in Parenting, Pregnancy on January 10, 2017 by mommyhasalife.